There are many, many things to be excited about when it comes to Star Wars: The Force Awakens, but its new characters are right at the top of the list. Most specifically Rey, the film’s heroine, and Captain Phasma, the universe’s first live action female villain. In an era when gender is an incredibly hot topic, Star Wars is now doing it right (despite some problems along the way, as this video illustrated today). 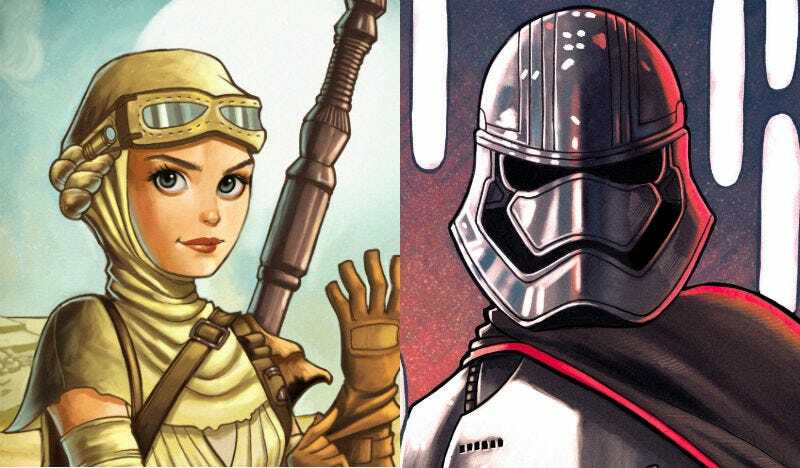 To celebrate these incredible characters, Fandango.com commissioned artist Chrissie Zullo to make portraits of the Star Wars heroines, and villains, in awesome comic book form. And here they are, exclusively revealed, along with some comments from the artist. For more on Zullo’s work, check out her Tumblr.